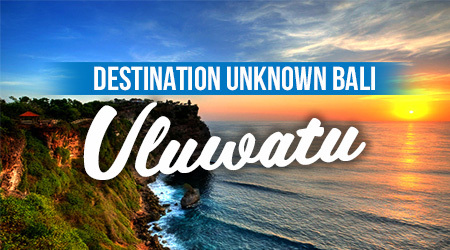 The Bukit (as it is commonly referred to) includes the famous cliff-hanging temple at Uluwatu, a number of Bali’s very best beaches including Balangan, and the top surfing spots on the island. As is so often the case, it was intrepid surfers who really opened up the eyes of the world to this part of the island. Ngurah Rai International Airport, also known as Denpasar International Airport (DPS), is about 30-40 minutes away by taxi. Taxis are not plentiful but can be found. There is a taxi stand at Padang-Padang just north of the bridge and one or two taxis are often sitting there waiting for customers. Exploring the Bukit peninsula lends itself very well to a rent motorbike. A number of the nicer beaches are reached via small roads or dirt tracks and a motorbike is the best method. Motorbike or scooter give you solution for jammed traffic. A few bemos or mini public bus available on the main routes only but they are neither regular nor reliable. There are the usual souvenir shops at the parking area at the entrance to Uluwatu temple. Otherwise, this is not an area of Bali known for its shopping. There are convenience stores/small supermarkets in the villages of Pecatu and Ungasan for everyday shopping.